Four constituencies of Odisha faced the 2019 general polls four days back. The rest of the 17 constituencies will face the polls on April 18, 23 and 29 respectively, we decided to take a look at the educational qualifications of all the 133 candidates who are facing the election battle from 21 constituencies for the MP seats. Taking a closer look at the affidavits submitted, we found that 63.9 per cent of the candidates are graduates. This includes independent candidate Dr Bipin Kusulia, who is a PhD holder, and Biju Janata Dal's Dr Achyuta Samanta, who holds a Doctor of Letters degree. Of these 85 candidates who've been to college, 28 of them hold Master's degrees. 48 candidates haven't been to college. Of this, four of them are illiterates. But on the bright side, 96.99 per cent of the total candidates are literates. In the state's capital Bhubaneswar, 93 per cent of the candidates have been to college. This year, the youngest candidate is Akhil Bharat Hindu Mahasabha's 21-year-old Jayaprakash Sethi, who is contesting from Puri, while the oldest candidate is 83-year-old K Shyambabu Subudhi, who is an Independent candidate in Aska. 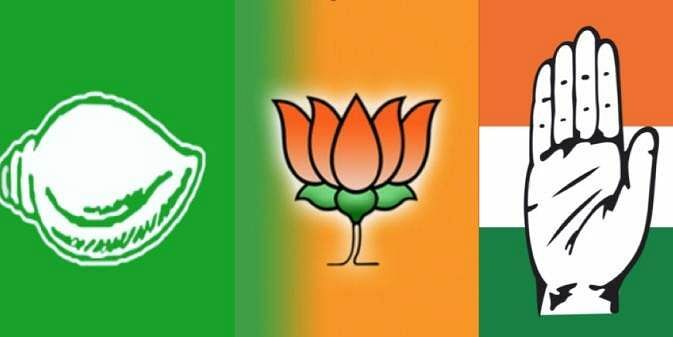 What may look like a strong competition between the ruling BJP and Naveen Patnaik headed Biju Janata Dal, which rules the state, a few prominent candidates are KIIT's founder Dr Achyuta Samanta and BJP's National Spokesperson Dr Sambit Patra. The BJD promised to provide Rs 5,000 Crore worth business to the women SHGs which will provide a profit of about Rs 500 crore. On the other hand, Narendra Modi has asked the people of the state to vote for the "double-engine" government of the BJP at the Centre and the state.